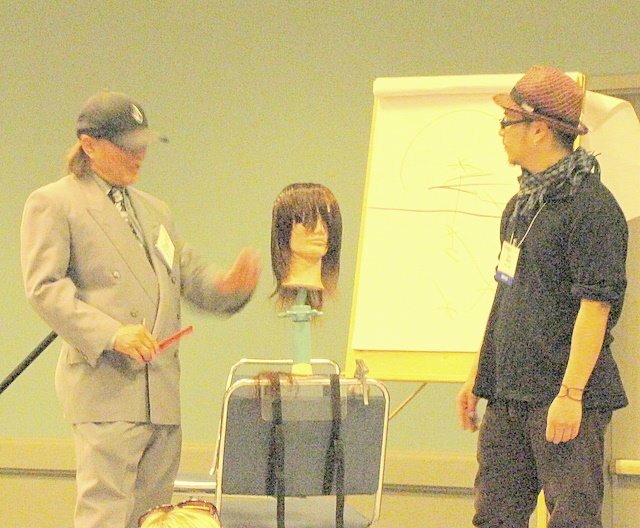 February 02 2009I went to the Long Beach Hair Show to teach a hands-on class to a diverse group of hair stylists.The Long Beach Show is known widely and I saw many different faces and people from out of the state to visit the show and benefit from our hands-on class. 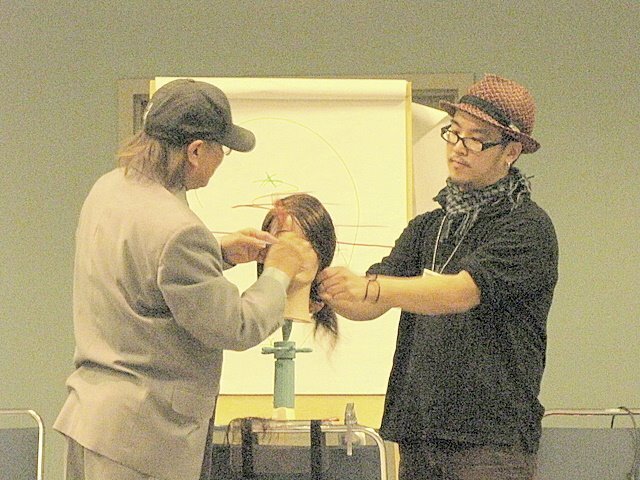 I worked with wonderful young talents: hair stylist Taka, Miki, Tsuyoshi, Shuji, Phill, and Yuka to help me with my hands on class. 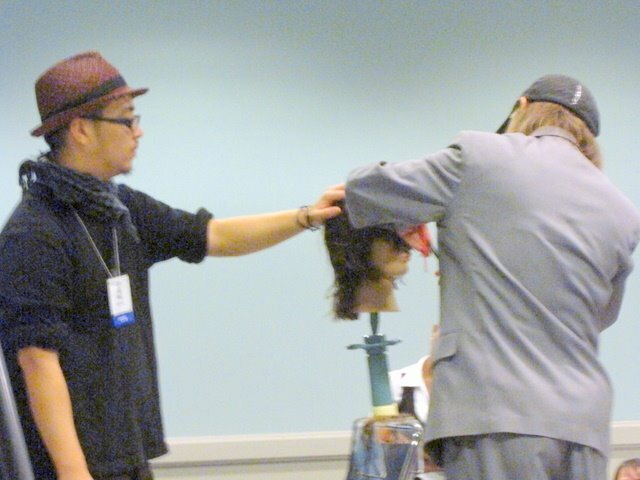 This year’s theme was FACE [Fast, Accurate,Clean,Easy ] way cut hair for long, middle, and short length. You can use the same method for all hair types. 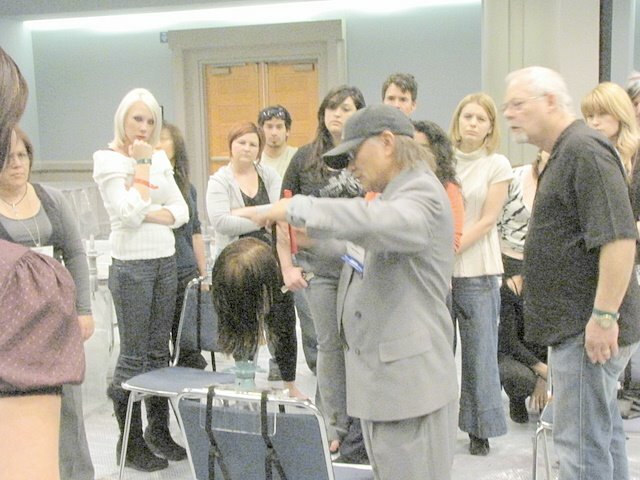 Now time for the Hands-on class, they cut wigs, now a closer look to see how I am cutting the hair. 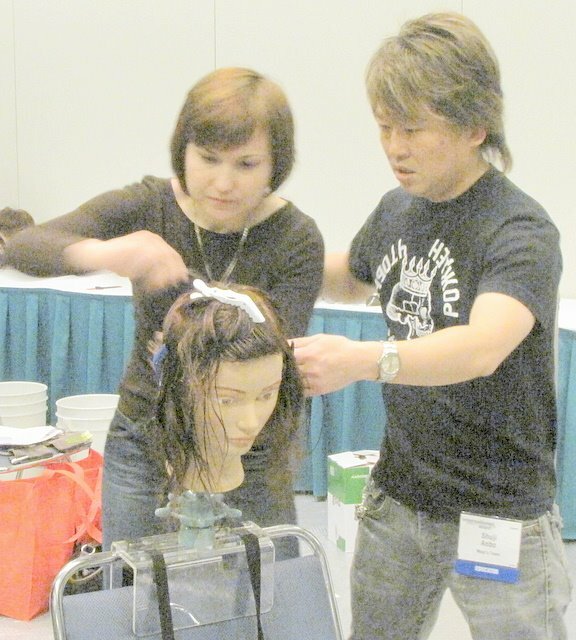 Taka is showing an example to the stylist and Miki is observing the stylist. We feel it was a great class. 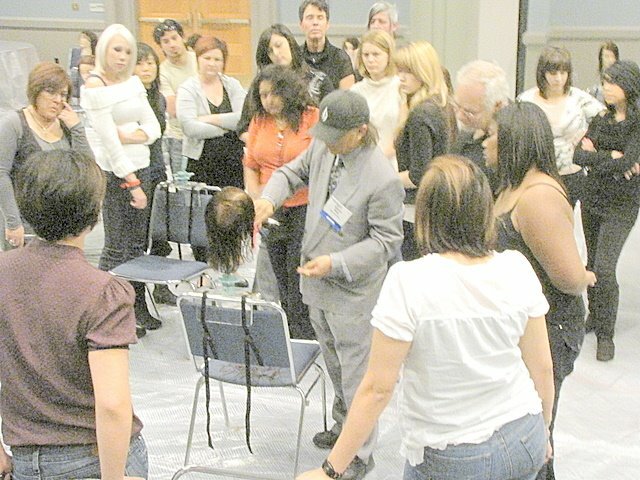 Many of the stylists wanted to come back for more lessons or buy one of my DVD for more lessons at home! Previous Previous post: Mogi hair cutting DVD!! !